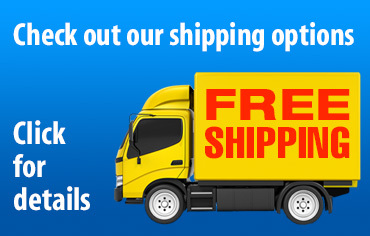 Click for shipping info on all products. Our product guarantee is simple. Use the the first full gallon or quart in your case and if you’re not happy, please return the unused remainder for a full product refund. If you’re not sure if you used the product correctly and would like assistance, please call us. We will be happy to help you. Call 1-877-477-1615 or use our Contact page. Revive iT Rocket multi-use, citrus oxy encap detergent carpet cleaner contains a powerful blend of non-ionic detergents and a great smelling, organic solvent made from citrus plus hydrogen peroxide, to remove not only oily, greasy soils, but organic stains and discoloration from carpets and fabrics. Revive iT Rocket has the outstanding ability to remove and suspend soil so you can be assured cleaner and brighter carpets, even at lower water temperatures. This professional strength state-of-the-art encapsulation detergent uses the latest technology in surfactants, degreasers and builders, then adds natural citrus solvents for extra strength for the toughest water and oil-based spots and even works on food and protein-based soils. Revive iT Rocket goes a step further with the addition of a premium peroxide that allows you to actually remove organic stains like urine, coffee, wine and other natural colorings. Rocket is an excellent “go to” encap for all of your residential and commercial carpet and many upholstery cleaning needs. Don’t forget to try it on tile and grout too! This home had not been cleaned for a while and the family has 3 large dogs living on this carpet. We went through 18 bonnet sides and Rocket just kept pulling out the soil. As you can see the results are amazing! Revive iT Rocket and all other cleaners. Click here to learn more about our Oxy Spotter.